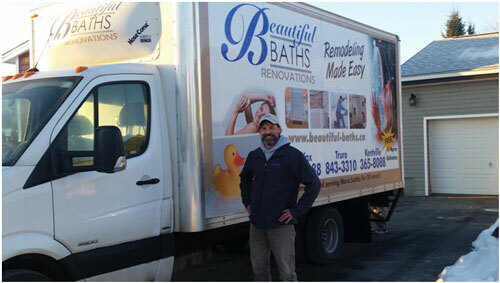 Bathroom Remodeling & Renovation Halifax, Kentville, Truro NS | Beautiful Baths | Remodeling Made Easy! Enter your details below. 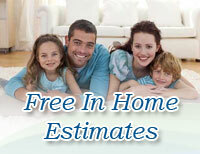 We will be in touch within one business day to arrange a time to visit your home. Tom has worked with us as well for years and is very knowledgeable with all area’s of the business. 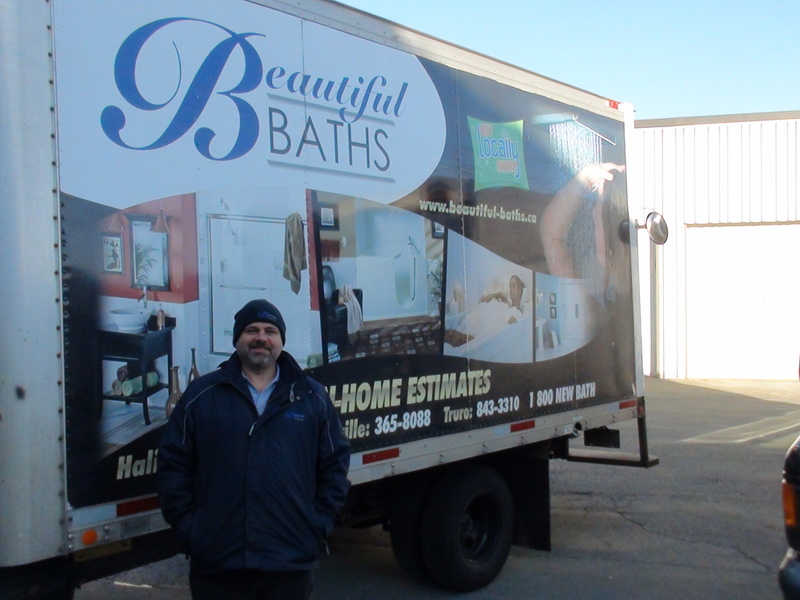 His specialty is with the restoring of the bathtubs with our Kott Koating process but he is also very skilled with plumbing and other parts of the renovation process. 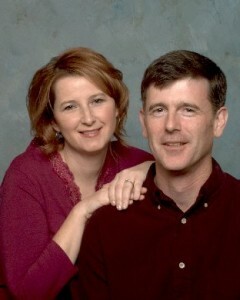 Ask Tom about his home on the south shore… his retreat away from town. Jamie is celebrating working with us for 10 years and has earned thousands of written positive comments and testimonials from our customers. Jamie loves his Mooseheads (he is an eternal optimist!). Andrew is the guy who floats around from job to job helping out where needed. He is learning the ropes as they say while he is also learning the ropes at Saint Mary’s. He is an avid Chef ( he actually has his certificate from NSCC) and loves to cook. You could say he is like family because, well, he’s our son! 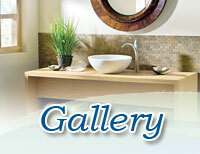 Darcy has many years of renovation experience including extensive plumbing. Like everyone working with us here at Beautiful Baths, Darcy is very friendly and happy to answer any questions…Darcy is originally from the west coast but we have adopted him into our Maritime family here. Paul has extensive experience with Renovations and is also a great guy to have in your home… he loves his music… ask him about his band…he might try to sell you one of his cd’s! 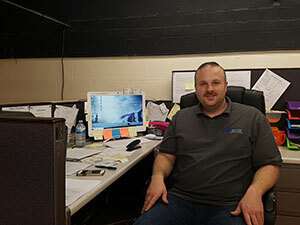 Roger has worked in renovations for years and has a great record of customer satisfaction because he does quality of work that shows… and he is a great guy to have in your home as he is very easy going. We won’t hold it against him that he is also from Pictou county originally ( just kidding!) but he and his family have grown up in Cole Harbour… he’d be happy to tell you about his days growing up in Pictou county! Chris and Tori Bowie are partners in Beautiful Baths Renovation and in life. They bring many years of experience to the table in all areas in bathroom renovation and are actively involved in the day to day running of the business. They are hands on owners and are proud not to be a franchise. They are very proud of their record servicing customers and their A+ rating with the Better Business Bureau. We had our two bathrooms completely renovated. Jamie, Darcy and Ryan did excellent work. We are so happy with the results. We’ve received so many nice comments from our friends and family. In October 2018 we had our walk in closet transformed into a roll in shower. Jamie, Ryan and Paul did a great job. A couple of things we weren't happy with were remedied right away. They always arrived promptly and were very professional. They always cleaned up the mess so we were left with very little cleanup. We're very happy with the results. Friendly, accommodating, easy to deal with and a decent selection of products and options. 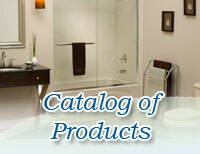 One stop shopping for bathroom renos. Honest opinions on many product lines. Not the cheapest nor most expensive but quality and service are always present. Our experience with Beautiful Baths was very positive. 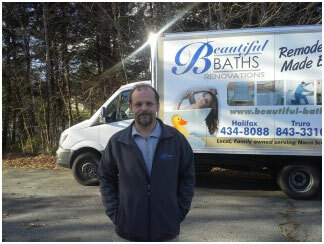 They were very professional and completed our project in 1 1/2 days giving us a beautiful new bathroom. 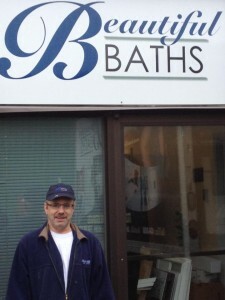 We were very pleased and would highly recommend Beautiful Baths to anyone looking to enhance there bathroom. They are very good at what they do as Bathrooms is all they do. We are very pleased with our new bathroom, it's absolutely beautiful. The service was top-notch and very friendly. The quote was accurate & affordable. Even something minor was remedied quickly.... quite satisfied and will definitely recommend. I'm really pleased with the work done by Beautiful Baths. I had my entire tub and shower enclosure replaced. Chris the owner carefully explained the process to me in an open and honest manner that I really appreciated. The installation itself was fully completed in 1 day - the 2 workers arrived at 7.45am and were complete by 3.30pm. They were very tidy and respectful and left the bathroom cleaner than when they arrived. Overall, very satisfied! They did an awesome job on our bath. they were on time, on schedule, and on budget. 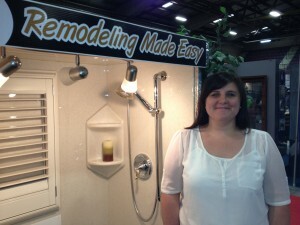 The whole process was easy from the in home consult to sitting down in the showroom to pick our products. Chris and his team are fantastic. I absolutely love my new bath. My experience with Beautiful Baths was stellar - from the initial in home estimate for my new shower to the clean up after installation. Everything was handled with professional courtesy. I am 100% satisfied with the service and the product . Beautiful Baths did a complete renovation of my bathroom including custom tile, soaker tub and vanity. They did excellent work for the price quoted and in the agreed upon time frame. I highly recommend this company. We love our new shower that replaced our baby blue bath tub! The guys were friendly and fun, and though they came across a problem in our old house they fixed it and carried on. A huge thank you to Darcy and Beautiful Baths for the work on our bathroom! Beautiful job and took the stress out from doing it ourselves. very happy with the work that was done! We were contacted shortly after the questionaire was filled out. Approached with knwoledge, experience and profesionalism. Agreed upon parts, details, arranged a date for commissioning. Got a reminder day ahead, technicians arrived on time, behaved with upmost profesionalism about their work, our space, and tidyness. Cleaned up everything afterwards, explained how to maintain, what was done. Highly recommended. Having any re-modeling done to my bathroom very shortly after moving into my new living situation was certainly NOT an expense I wanted to incur nor a nuisance I wished to endure - but it became necessary - Leigha , sales representative , came within a day or two of my call and made the experience so very easy for me - she made recommendations that made sense to me and I was able to shop from home - I loved that ! Darcy was my installer and if you have to have this done he's a guy you can easily spend a day with - professional, tidy and just downright pleasant . And just to put the icing on the cake , my shower enclosure is a lovely looking unit - plain but just perfect for a small space . What had started out as a bit of a disaster ended up to be a happy event . From the quote to the installation we were exceptionally pleased with both the company employees and the finished product. Would highly recommend this company! Great Job! Leigha came in and addressed all of our concerns and did a quote for us right on the spot. Then the team that came a couple of weeks later to complete the project did a great job. In and out in one day and cleaned up after themselves (vacuuming included). We had one concern after the job was complete, but one of the installers came out and addressed it right away. Then a year after the initial job was done, I called with a question and again, someone came to the house to address our issue. 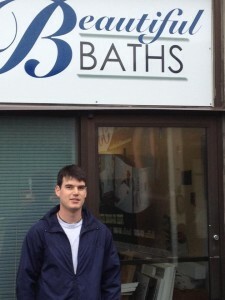 Great customer service from Beautiful Baths! 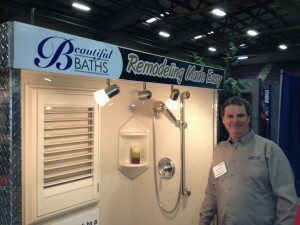 I would highly recommend Beautiful Baths for bathroom renovations! From initial quote to finished work they do a great job! Completed a full bathroom renovation in just a week with beautiful results !